This is a good smart phone, with good design and features, If you are a music lover i has great sound quality, camera is better in 2MP phones. 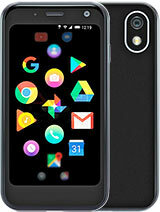 If you lover business phones, then no other is better option for you, but if you like toy phone like symbian OS, then don't go for it, because developers are running behind symbian OS. GPS application is a demo version for 1 month and phone operator specific, i.e not working with majority of operators. Business features are awesome. Embedded Internet explorer is worse, but Opera Mobile and Skyfire are excellent. So, It's up to you, what you decide. Had this phone for around 7 months now and very disappointed. The keys are too small to the point of being useless. Bear in mind the whole idea of this phone for me was its qwerty keyboard. The phone charges using microUSB. A format that is very rare and much harder to get spare cables for. ( fair enough my fault should have read the spec thoroughly ). Standby is simply garbage and equivalent to around a day. The GPS cuts off randomly and only picks up the signal once you power cycle the phone after removing the battery. The touch screen is poor in response and for some reason doesnt react to touch in the traditional manner that you would expect. ( I have to use my finger nail as the stylus has fallen out...) There was a reason why i have always stayed away from Palm. This phone compounded that train of thought and i shall certainly never buy another Palm again. Treo ProBT patch??? if i perform a hard reset this file will be conserved? My treo shows this file at Start/settings/system tab/remove programs. Having used smart phones/blackberry's for years I moved to a new company and was given a Palm Treo Pro. I have found this phone to be one of the worst phones I have ever used for business. The need to use a stylus is irritating and means you have to put the stylus down while using your fingers on the keypad. The OS is OK as its a Microsoft, but again fundamental issues remain that make the Blackberry so much better. Typing on the keys is difficult as they appear too small, simple controls such as holding a letter down does NOT make it a capital and generally it is considerably slower to use than any other device I have had. One thing that I find completely and utterly stupid is the fact you can not turn this phone off...ever! You have to remove the battery. Overall I would say this is a really poor substitute to most of the Blackberry range and I personally hate my Treo, which is a shame considering the amount of time I spend using it. Furqan Altaf, 28 Nov 2009I want to upgrade firmware for my palm treo pro. i want to reset factory settings. how can i d... morePress the send and end buttom (green and red) at the same time. while doing this place the stylus pen into the tiny hole right in the back of the phone where the stylus is. relase the stylus after pressing for several seconds (keep pressing green and red key)a message will appear on the screen press up arrow to submit, down arrow to cancel the procces. i want this phone so badly. i can't part my treo 750 because i haven't found anything similar until this one. hi..just wana know..anyone hv upgrade window mobile 6.1 to mobile 6.5? if hv how to go about it and is it any differences? Excellent phone. It comes with a rare and very useful combination of touchscreen and 5 way navigation.